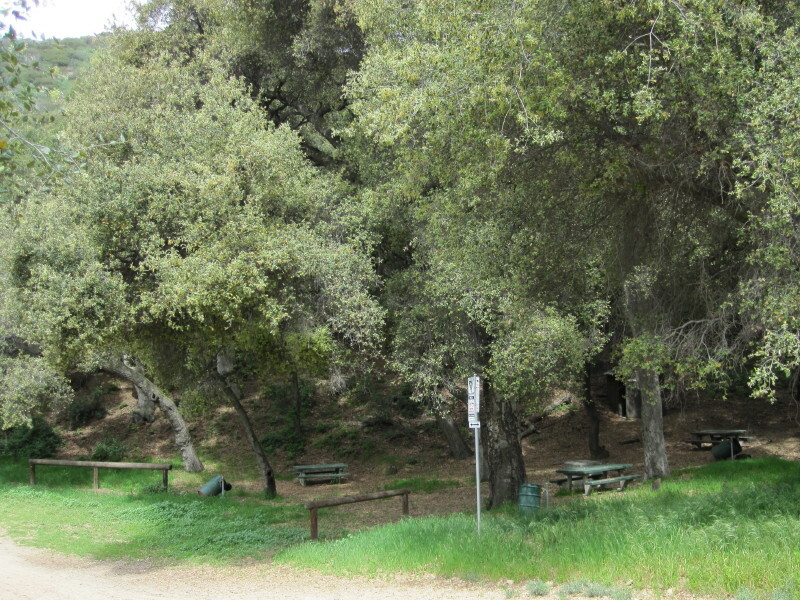 Sprawled out in the foothills above La Verne and Claremont and bumping up to the southern boundary of Angeles National Forest is Marshall Canyon Regional Park. It's not really a park in any conventional sense and you won't find any signs or indications that general public is welcome there. It's totally incognito. The only public facilities are the equestrian center, which operates under the name, Fred M. Palmer Equestrian Center. The county also operates a nursery (providing plants for county facilities) and a correctional facility. 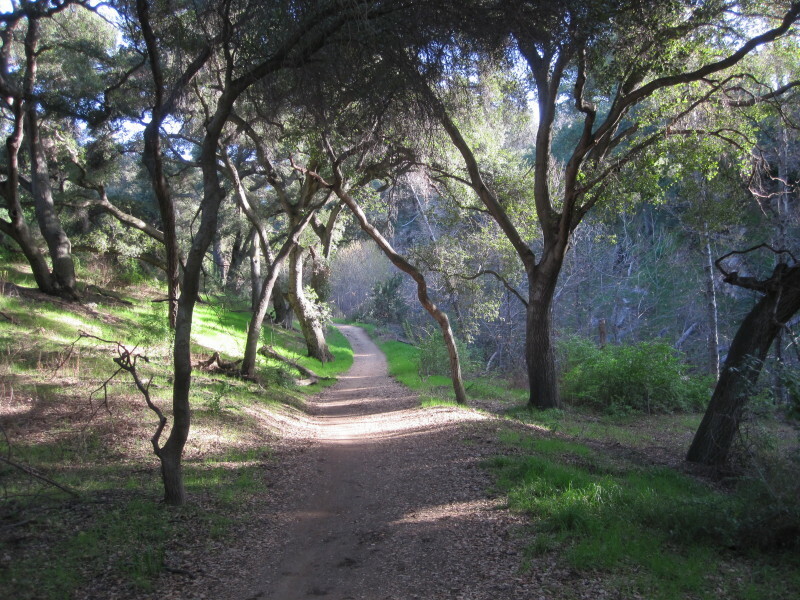 However, Marshall Canyon "Park" belongs to the public and beckons us to come and experience its beauty. 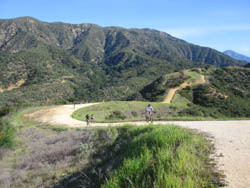 Marshall Canyon Trail is multi-use public trail under the jurisdiction of Los Angeles County. 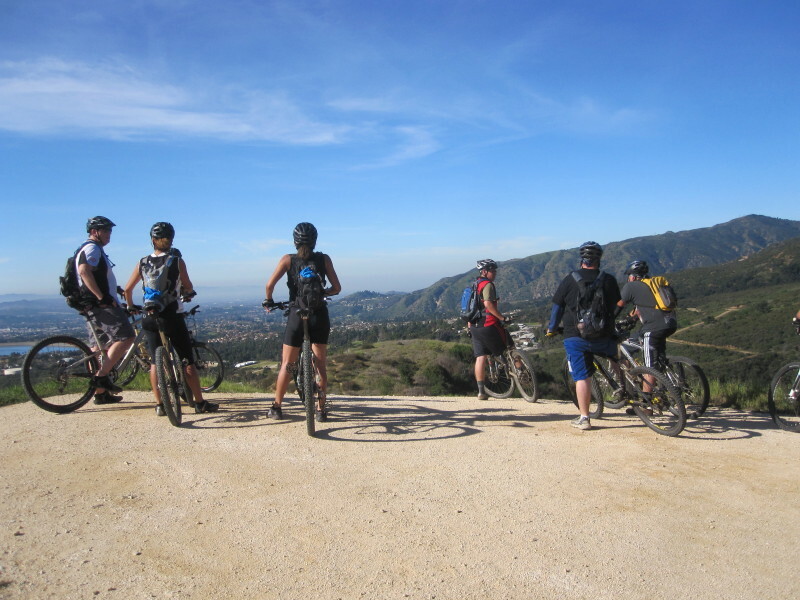 It's actually a network of trailssingle track and dirt roadsthat traverse throughout Marshall Canyon, Live Oak Canyon, their slopes and ridges, and connect to the trails of adjoining Claremont Hills Regional Park. The trails provide an endless array of possible hiking options through relatively undeveloped natural habitat. The loop hike I describe below lets you experience the full spectrum of this wonderful venue and leaves you lots of options for further exploring. In brief, the hike looks like this: You'll will start at large parking area mid canyon, drop into the canyon going south, hit the main trail, turn northeast ascending the low ridge that separates Marshall Canyon and Live Oak Canyon, head north paralleling the equestrian center, transition into woodsy Live Oak Canyon and head upstream for a bit, climb 400 vertical feet through open chaparral to a ridgeline, and follow the ridgeline east to a splendid lookout point. For your return you will continue east briefly then turn west and follow a fire road west back to Marshall Canyon where you can either opt back to your car (shortening your trip by a mile) or complete the entire loop. I've also included alternate routes for more possibilities. Traffic - Marshall Canyon is immensely popular and on a fare-weather weekend you may encounter dozens and dozens of people. The majority of trial users I've seen were on bicycles. And of those trail users on foot, most did not appear to be "hikers" but were generally runners, joggers, and walkersclad in gym shorts, wearing tennis shoes, and carrying bottles of water. Some of them were walking their dogs. The trials are also popular with equestrians, so expect to see horses on the trails. Even though you can hike these trails all year long, early spring is absolutely the bestabundance of green, splash of wildflowers, streams running, clear skies, moderate temperatures, grand viewsamazing. In the summer, hiking in early morning or late afternoon will give you a reprieve from the blistering sun, particularly if you are climbing the shadeless slopes. The fall will provide some color with the leaves changing. After Winter rains the grasses start to green-up nicely, but there will be a lot of leafless plants. From 210 Freeway in La Verne, exit Fruit Street. Turn north (toward the hills) and drive one block to Base Line Road. Turn left (west) and drive 0.3 miles to Esperanza Drive (signal light). Turn right (north) on Esperanza and travel about 1.7 miles. The street bends left and becomes Golden Hills Road. (Just before the bend, the street passes over the Marshall Canyon creek. This is where you can access the trail for the lower canyonsee alternative route below). Proceed west on Golden Hills Road 0.3 miles to Stevens Ranch Road (signal light). (Notice Lowell Brandt Park on the northwest corner. This is where you would park if you want to access the lower trails.) Turn right (north) on Stevens Ranch Road. You will pass the golf course and the road bends right (east). At 1.0 mile you reach a fork in the road. To the left is the Afflerbaugh and Paige Camps L.A. County Probation Department. To the right is the entrance to Fred M. Palmer Equestrian Arena and Campground. Stop about 100 feet before the fork and turn right into the large dirt parking lot. (The address is 6550 Stephens Ranch Rd, La Verne, CA 91750). Your trial starts on the east end (on the left when you drive in). No Adventure Pass is need for parking. 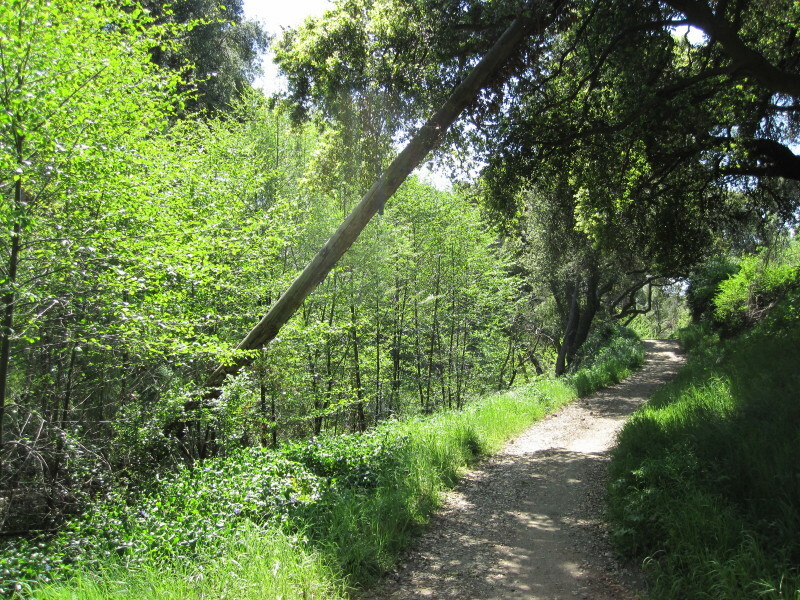 From the east end of the parking area (P), start your hike on the signed Marshall Canyon Trial. After you pass by the yellow gate, you begin your descent into the canyon as the trail bends around to the south (right). Notice the top of thick oak canopy below; shortly you will be enjoying its shade. 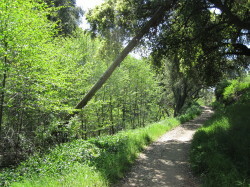 The trail winds around a bit and in a few minutes you will cross a creek amidst mature oaks. As you ascend from the creek you pass through an area that had burned. In a few minutes you arrive at a junction (B), accented by an outcrop of boulders. A turn right would take you down past the equestrian center to and Esperanza Drive and Golden Hills Road (see alternative lower canyon route below). But for this hike you will turn left (east). In about 50 yards you cross a little steam with a nice specimen of stinging nettles on your left. Your trail now ascends and in about 5 minutes you reach a large flat clearing (C) on a low ridge that separates Marshal Canyon and Live Oak Canyon. On the left (north) a fence marks the south border of Fred M. Palmer Equestrian Arena and Campground. Another route heads south on the ridge and connects with the lower trails (on option for another hike). Continue straight (east) and follow the trail as it soon bends north and parallels the east fence of the equestrian facility. In a few minutes you see a spur trail veering to the left which connects to the trailhead gate for equestrians. Veer right and in a few more steps you reach a signed junction (D). 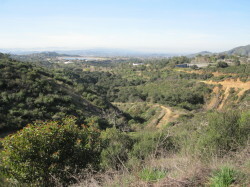 A hard right will take you on a lower trail downstream to the equestrian center on Esperanza Drive and Golden Hills Road. But bear left and continue upstream enjoying a beautiful wooded setting with the pleasant melody of the creak below. In about 10 minutes you reach another junction (E) marked by a huge patch of poison oak directly in front of you with a sign describing the toxic plant. Either direction will take you on a large loop, but for this hike, turn right (east). In couple minutes you reach a stream crossing. A wider path cuts right to the south but dead-ends shortly at a locked gate for Trails End Ranch. Bear left on the narrow signed trail. You'll pass under your last shade for a while as you immediately begin your meandering climb up the east side of the canyon. The views open up nicely. Across the canyon you can see the road which will be your return route. Be alert for downhill bikers. After climbing about 400 vertical feet you reach an upper ridge with a sweeping panorama. Here you find a ridgeline road with a signed junction (F). Turn left (east) and follow the road as it ascends to a high point with a 360-degree view. This is a good place to pause for a bit and soak in the scenery. Leave the highpoint continuing east along the ridge. In a couple minutes you arrive at a small saddle (G). Notice a signed trail to the left. 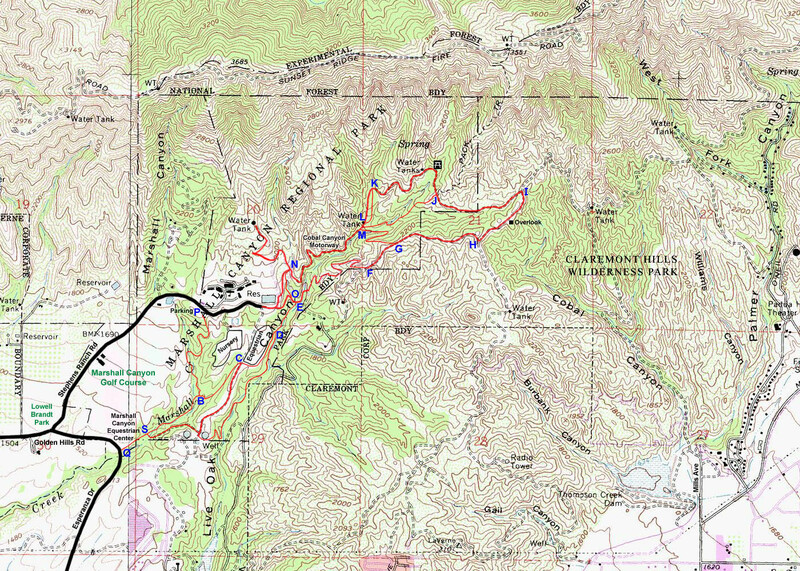 This is an alternate route which drops back into the canyon to rejoin your return route (M). It would shorten your trip and add some nice canyon scenery. But for this hike continue climbing the ridge heading east experiencing splendid views all around. In about 12 minutes you reach another junction (H). 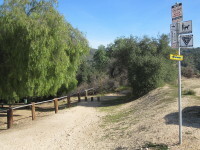 This is the popular Burbank Trail ascending from Mills Avenue in Cobal Canyon. 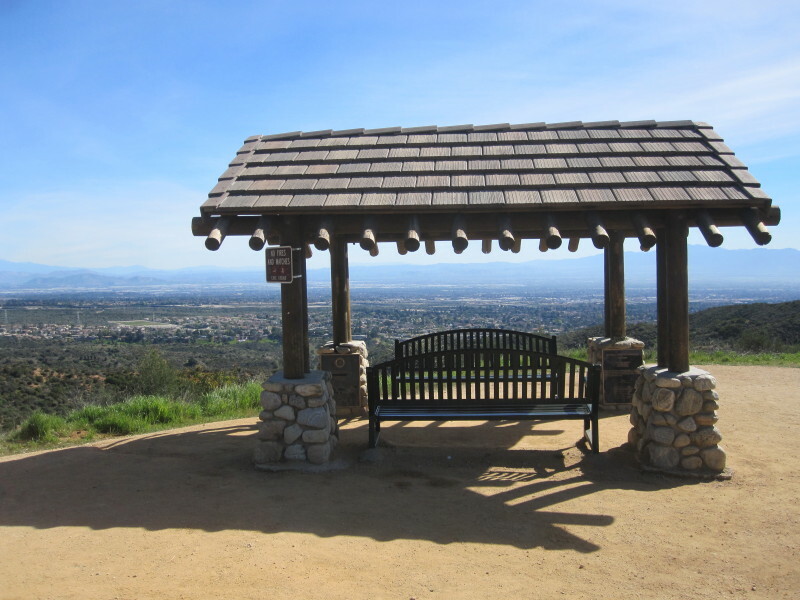 Turn left and in a few minutes you arrive at the "overlook" (2400')a nice pergola with benches offering splendid views of the foothill and valleys below. Continue east as the trail begins to bend north and in a couple minutes you reach yet another junction (I). The sign indicates Cobal Canyon Motorway. 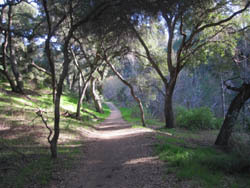 The road to the right enters Claremont Hill Wilderness Park and terminates at Mills Avenue. Turn left, pass by the yellow gate and begin your westward descent back into Marshall Canyon. In about 10 minutes you will round a bend to the right and see another signed junction on the left (J). This is yet another alternate route that will rejoin your return route a little ways down canyon (M). Continue on the main road and in few short minutes you come to shady draw with a picnic area featuring several concrete picnic tables, trash cans, hitching posts, an empty horse trough, and an outhouse named Dotti's Potty. From the picnic area, continue west, first climbing about a 100 yards to a water tank, then descending. The road contours along the north face of the canyon through sun-soaked chaparral. Looking across the canyon you can see the road along the ridgeline where you were traversing earlier. Shortly you come to a signed junction (K) at a bend where the road passes through a draw. Notice the narrow trail veering off to the left disappearing into the shady streamside route. Take this path that circumvents a section of road and be rewarded with a pleasant stroll. In about 6 minutes you regain the main road (L) (there is a water tank at that location) and continue along. In another minute you reach a signed junction (M) with two narrower trails coming in from the right. A picnic table provides a convenient opportunity to study your map. The trail on the left is the one that connects to the road just above the picnic area (J). The one on the right connects to the saddle up on the ridge (G). 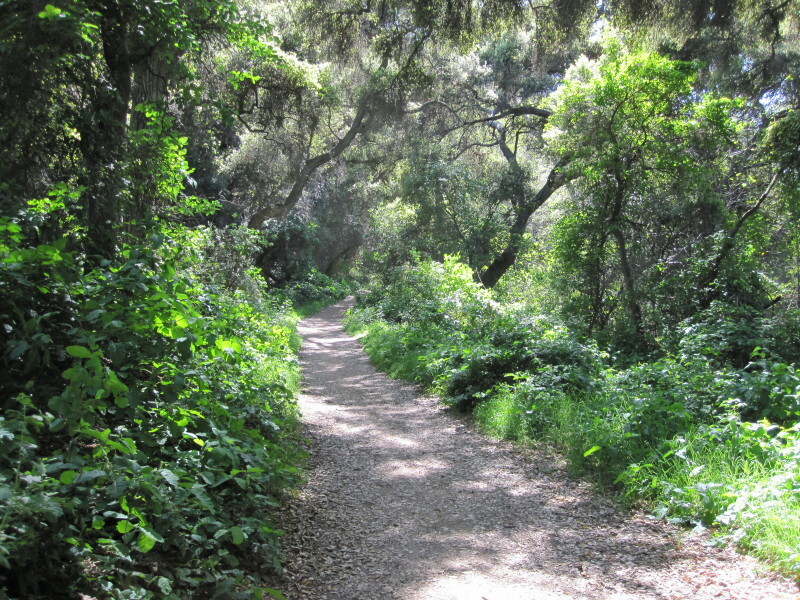 Both of these trails provide optional variations for hiking. As the canyon narrows you get glimpses of the stream as it gurgles below to your left. You contour along in mixed shade and sun as the canyon opens. After a point where the road bends back to the northwest, you reach a junction (N). If you went straight (north) you could follow this route as it ends a large water tank in about 0.3 milea nice excursion with grand views. Turn left. Immediately you will see two spur trails on the left. Ignore the first one and turn left on the second, which is signed. Walk about 5 minutes along this path and you reach the road again (O). Bearing right would take you up past the reservoir and an 8-minute walk to your car. This is a good exit point if you would like end your hike now, cutting 1.1 miles. Veer left and in 100 yards you reach the junction (E) where you were earlier with the poison oak patch. Turn right and begin retracing your steps. In a few minutes you'll arrive at a fork in the trail (D). As mentioned earlier, veering left will take you on a lower trail downstream to the equestrian center on Esperanza Drive and Golden Hills Road. To conclude the full loop, bear right and retrace your steps back through junctions C and B and ascend to the parking lot (P). There are two trails in the lower reaches of the park that offer delightful streamside strolls under a beautiful canopy of trees. I've not included them in the trail description above but you can easily add them to the present hike or fashion another hike around them. 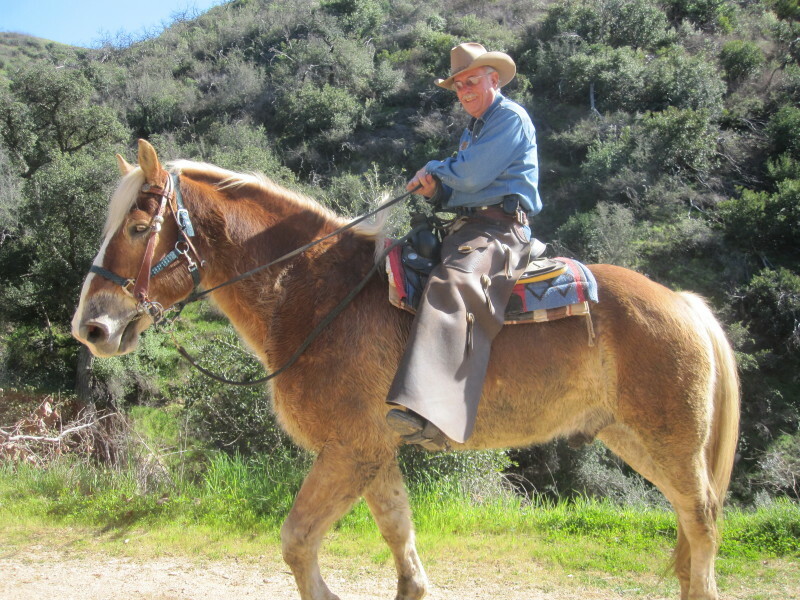 Both Schad and McKinney describe hikes that begin at the equestrian center on the corner of Esperanza Drive and Golden Hills Road. There is no longer public parking at this location or on any of the nearby streets. So to start your hike from here, park at Lowell Brandt Park on the northwest corner of Golden Hills Road and Stevens Ranch Road. Walk west on Golden Hills 0.3 mile past the equestrian center. Just before the street bridge that crosses Marshall Canyon creek, take the path leading down to the creek (a path is on both sides of the street) to the trail (Q). Turn left (west) and begin following the trail up creek. Enjoy the woodsy setting. In a few minutes you'll pass a path on the left coming down from the stables and in another minute you will reach the creek and a junction (S). Both routes will take you upstream and rejoin at junction D.
If you turn left, the route starts by continuing to follow the Marshall Canyon creek, which you will cross about fives times en route. Then you will climb out of the creek bed and after 0.7 mile from the start of the trail, you arrive at a junction (B) (accented by an outcropping of boulders). You will continue straight (northeast), following the description in the main hike above. 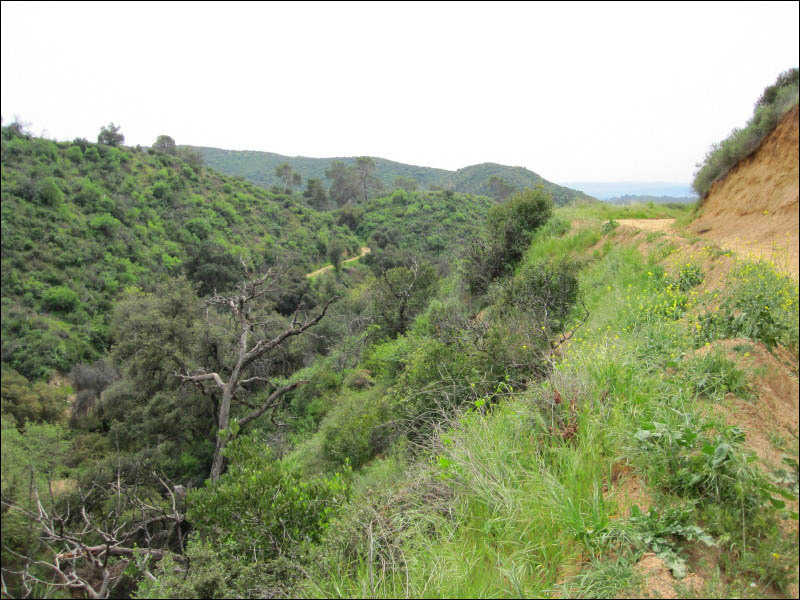 If you turn right (at junction S), the route climbs along the southeast bank of Marshall Canyon creek and shortly ascends to low ridge that separates Marshal Canyon and Live Oak Canyon, marked by two large water tanks. A left turn (north) would take you along the board ridge about 0.2 mile to junction C (which is an alternative route but not as picturesque as the canyon trial). 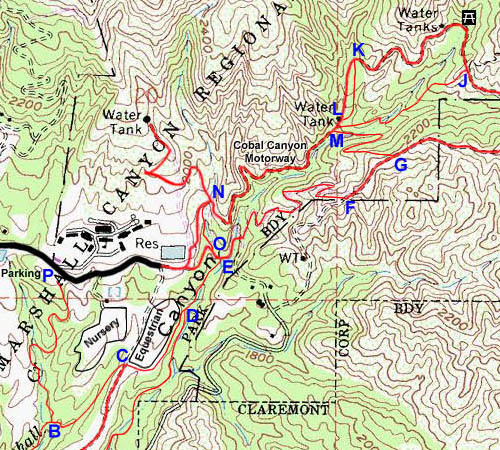 Veer right (south), passing between the two water tanks and bear left after the tank on your left, following the trail east into Live Oak Canyon. 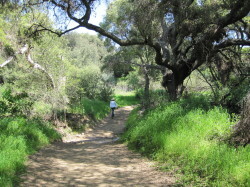 The trail turns left (north) and proceeds along Live Oak Canyon creek, crossing the creek twice en route. After about 1.0 mile from the start of the trial, you arrive at junction D. Continue straight, following the description in the main hike above. 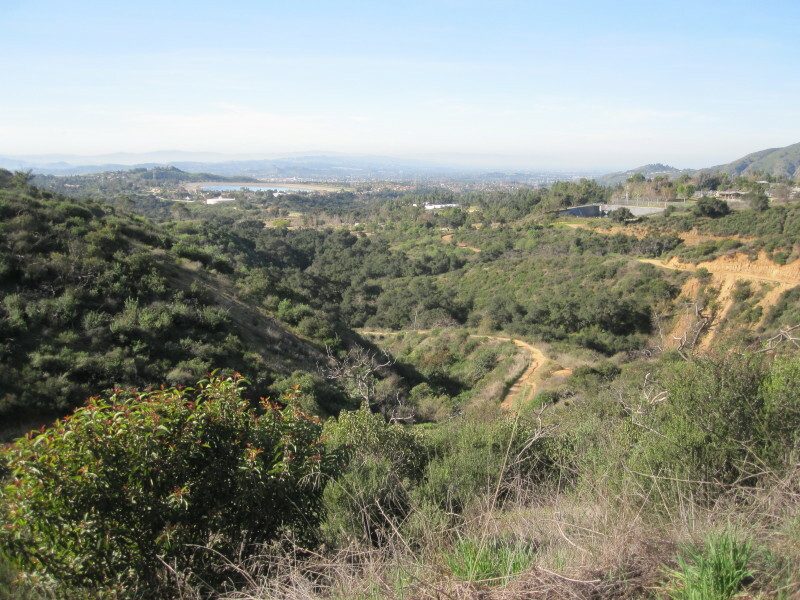 Another option is to hike the trail that is south of the bridge at Esperanza Drive. As in the alternate description above, park at Lowell Brandt Park on the northwest corner of Golden Hills Road and Stevens Ranch Road. Walk west on Golden Hills 0.3 mile past the equestrian center. After you descend to the creek trail (Q). Turn right. The trail meanders downstream through a woodsy scene, skirts a portion of the golf course, passes through a flood control basin, briefly parallels a channel, and arrives in a residential neighborhood at Orangewood Street, about 1.6 miles from the start. Return the way you came. The streets are posted "Parking Permit Only," unequivocally eliminating this as a trailhead for outsiders. Dogs - Dogs must be on leashes at all times. LA County Code 17.04.410. Wildlife - Signs warn about bears, mountain lions, and rattlesnakes. I don't know if there are more of these creatures here than in other areas along our mountains, or if it is just that officials are compelled to put the signs up because this is a "park." 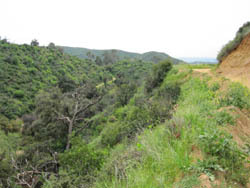 Afoot and Afield in Los Angeles County - by Jerry Schad (Wilderness Press: Berkley, 2nd Edition, Sept. 2000) - Area A-6, Trip 8: Area B-9, Trip 5: "Marshall Canyon Trail." 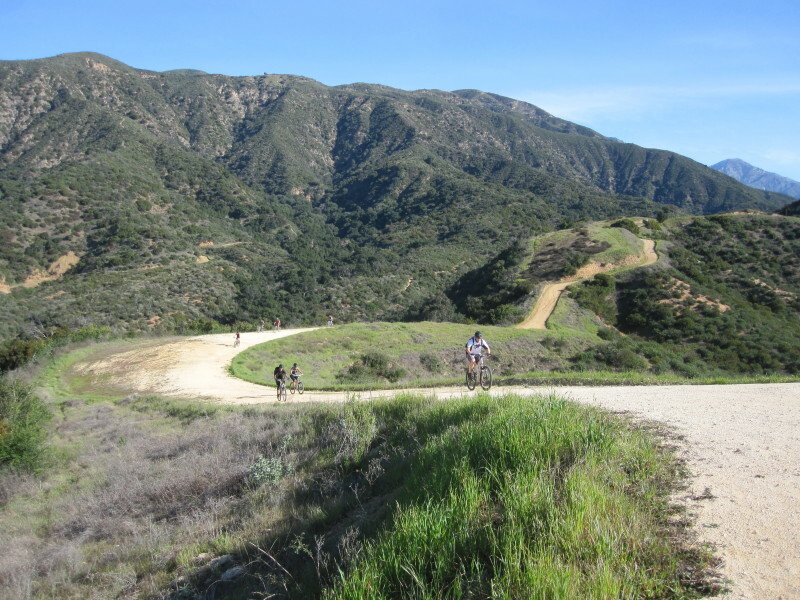 A well written description for a 5-mile figure-8 route beginning at the equestrian center on Esperanza Drive and Golden Hills Road (which is no longer an access point for the general public) and culminating at the picnic area. His line map is somewhat vague and inaccurate. All of the components of his hike are included in my description. This page was last updated October 1, 2012.